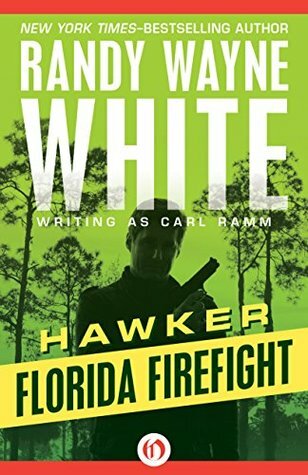 Hawker, the main character of Florida Firefight by Randy Wayne White, reminded me a little of Justified's Raylan Givens. Hawker is a lawman, but like Givens he is more moralistic rather than legalistic. In other words he will do whatever it takes for the outcome to be right, even if those methods aren't legal. That is how Hawker finds himself stripped of his badge and on payroll as a vigilante. Florida Firefight is more plot driven, rather than character-centric. At about 34% (I'm reading the ebook), we jumped right into the main action after a little backstory on how Hawker came to be where he is. I was hoping for some more character development. 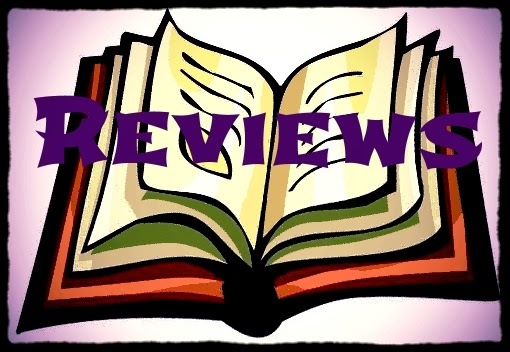 I wondered if the character was just very guarded, and in some ways this is true since he is essentially undercover, but I felt more like the author didn't want to give his characters much depth. "Who are you, James Hawker?" She seemed to be asking some person beyond his own eyes. "I want to know who you are.Why won't you trust me?" While he may have been wised not to have trusted her with more information, I would have liked to know more about not only Hawker, but the rest of the cast. But that's because I enjoy character-centric novels and Florida Firefight is definitely a plot-driven story. Even scenes that should have been emotional and tugging at my heart felt bland. We have Buck, an old man of the community who has seen the Colombians come in and take over the little fishing village that in its heyday attracted some of Hollywood's elite, telling his story of how the men of the town have failed to protect what is theirs. And I wanted to be emotionally involved, but it just never quite took hold of me. "My God, man, do you have a permit for that thing?" "You look like a sign post." Then they go on "to search for the label" to read. It took me back to the 1990s and some of the other corny things people said. By the time I got to the end of the novel I was ready for it to be over with. I guess it was climiatic with all the gun fire and subterfuge. There was a bit of a twist that I wasn't expecting, but I might have been too bored with the story by this point to really care. While there are definitely books written with women in mind, I haven't given it much thought as to what a book for men would be like. I have to wonder if Florida Firefight was written more for the male reader. Objectively, Florida Firefight is a good book. It just wasn't really the book for me. If you like plot-driven tales with a good bit of action, then definitely pick up this book, which is now available for the first time in ebook.